Senate Majority Leader Mitch McConnell says “far-left activists” and the media are to blame for threats against students at Kentucky’s Covington High School who confronted Native American marchers and a black religious sect in Washington. 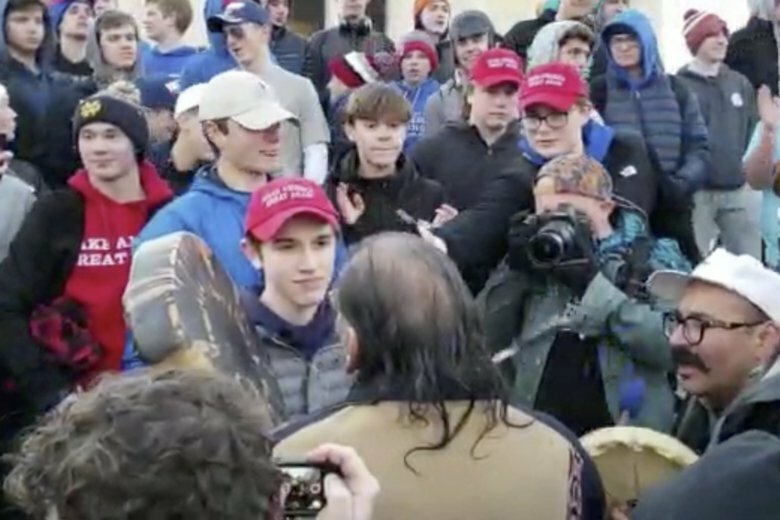 Videos posted of Sandmann and his classmates wearing “Make America Great Again” hats as they faced off against Omaha Nation elder Nathan Phillips have sparked widespread criticism. But the various sides say they’ve been misunderstood and that snippets of video were taken out of context. Both Sandmann and Phillips have since said they were trying to keep the peace in a volatile situation. Phillips has offered to visit the school and lead a dialogue about cultural understanding. Sandmann said he’d like to speak with him as well. A Catholic boys’ school widely criticized after a confrontation at the Lincoln Memorial in Washington is reopening under the watchful eye of law enforcement in Kentucky.